New ILO Member Serving Prince Edward Coming Soon! Wrongful death means that someone was killed because of the fault or negligence of another person. Unfortunately, the vast majority of motor vehicles fatalities are determined to be preventable in Ontario, so ‘wrongful death’ applies in many car accident cases. Criminal charges, such as Dangerous Driving Causing Death or Impaired Driving Causing Death, may be brought against individuals whose careless act resulted in a death, but these are tried entirely separately from a claim for compensation against the ‘at fault’ person. In addition to motor vehicle accidents, a wrongful death may also result from medical malpractice, unsafe properties and unsafe products. A catastrophic collision on September 2015, took the life of a 44 year old man, Shawn Way, a New Tecumseh resident. The accident resulted when Mr. Way’s car was struck at Highway 62 and Oram Road in Prince Edward County, by a vehicle driven by a 33 year old Odessa man. Prince Edward OPP charged the Odessa man with Impaired Driving Causing Death and Failure to Stop at the Scene of an Accident. In December 2014, there was a similar incident in Prince Edward County that resulted in a charge of Impaired Driving Causing Death and Over 80 Causing Death. In this instance, a 27 year old Picton man rolled his Nissan and crashed into a tree, resulting in the death of his 30 year old passenger. The Quinte Region Traffic Coalition (QRTC) includes Prince Edward and Hastings Counties police officers who periodically conduct Road Safety campaigns in the area. Following a week-long campaign to monitor and identify unsafe driving practices in 2015, QRTC officers concluded that speeding, distracted driving, impaired driving and improperly used seatbelts are the major contributors to injury and death in the region. In one week, there were 350 charges laid for speeding, two for stunt driving, 56 for distracted driving and 3 for impaired driving. Another conclusion reached by the Officers was that car crashes are the leading cause of accidental death in Prince Edward and Hastings counties, and in almost all cases, they are preventable. One of the most traumatic events for any family is when a loved one dies in a motor vehicle accident. It is a completely unexpected catastrophic event that will forever alter the lives of those left behind. In addition to dealing with their sorrow, remaining family members have many issues that must be addressed, including the required legal affairs after death, funeral arrangements, and often, major changes in the way their household is run. When a fatal motor vehicle accident is caused by a negligent act, the family who experienced the wrongful death can claim for damages from the person who was responsible and their insurer. Under the Family Law Act, family members of the deceased can make claims for financial losses, and for a loss of guidance, care and companionship they would have otherwise received from the person who died. The loss of financial support through employment or other means. The loss of income sustained by surviving family members as they try to deal with the sudden death. Expenses that were incurred as a result of the death. Travel expenses for visiting the person when they were injured. Loss of household and child care services. If the deceased person was a family provider, the surviving spouse is entitled to a percentage of the net income of their spouse, which often amounts to 60 to 70 per cent. They will be entitled to this amount for the working career of the deceased; so higher damages are paid in the accidental death of a younger spouse. Dependent children of the deceased parent are also entitled to a moderate sum. When a family member who is not the income earner is fatally injured in a car accident, the remaining family members are entitled to damages, but the amount is fairly small. In these cases, spouses and children may be awarded sums for loss of care, guidance and companionship. In Ontario, compensation is not allowed for pain and suffering resulting from the death of a loved one. The idea behind this is that no sum of money can compensate a person for the loss of a life. Sometimes, the courts will award punitive damages to the grieving family member(s), but this is not common in this province. In a recent wrongful death case, a pregnant mother, Michelle Vokes, suffered fatal injuries after her car was struck by another vehicle that was travelling 120 km/hr in a 50 zone. She left behind a husband and two young daughters, aged five and three. In a suit against the negligent driver, Mr. Vokes was awarded $90,000 for himself and $117,000 and $135,000 respectively for the children, for loss of care, guidance and companionship. The insurance company who had to cover the claim attempted to appeal the settlement, but their appeal was dismissed in the Ontario Court of Appeal. The maximum award for loss of guidance, care and companionship, based on trial precedents in Ontario, is about $125,000, so the amount awarded in the Vokes trial was higher than is usual. This amount would typically be the maximum awarded to parents who lost a child due to someone’s negligence in an accident. The calculation of damages in a wrongful death case can be quite complex and is unique to the circumstances of the surviving family members. Certainly, every wrongful death is challenging for the loved ones who are owed for their financial losses but at the same time, are dealing with financial and emotional hardships. 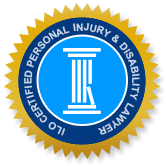 The Injury Lawyers of Ontario (ILO) are a group of experienced and compassionate lawyers who offer support and guidance to families who wish to make a claim for wrongful death compensation. At ILO, we offer a free no-obligation consultation to give you the opportunity to have your questions answered and learn your rights with regards to your case.